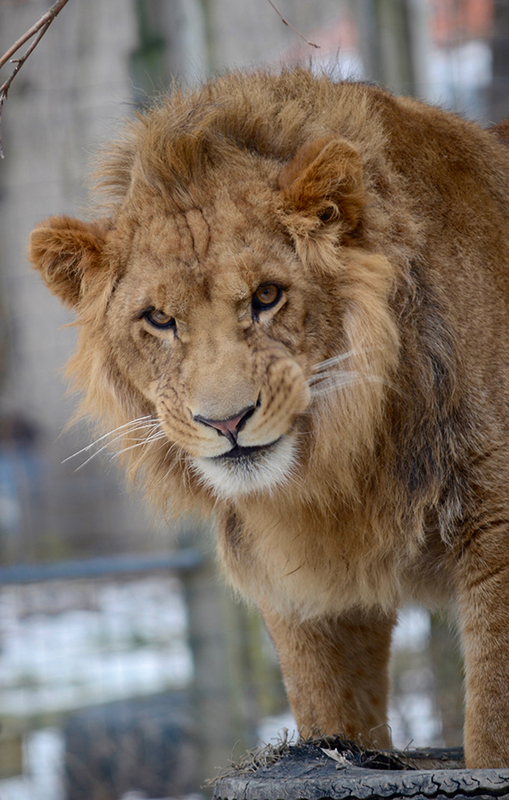 The Killman Zoo has one of the largest lion families in Canada with fourteen individuals from the ages of 11 months old to 12 years old. 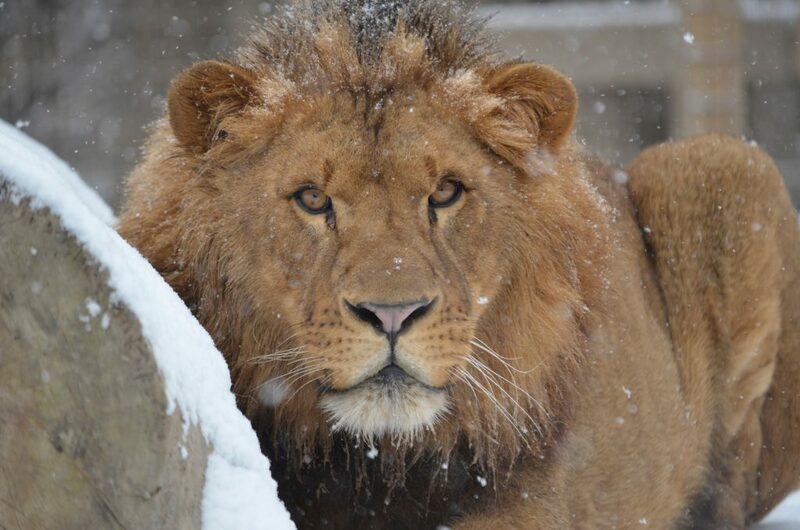 All are African Lions, including our newest additions, two white lions. 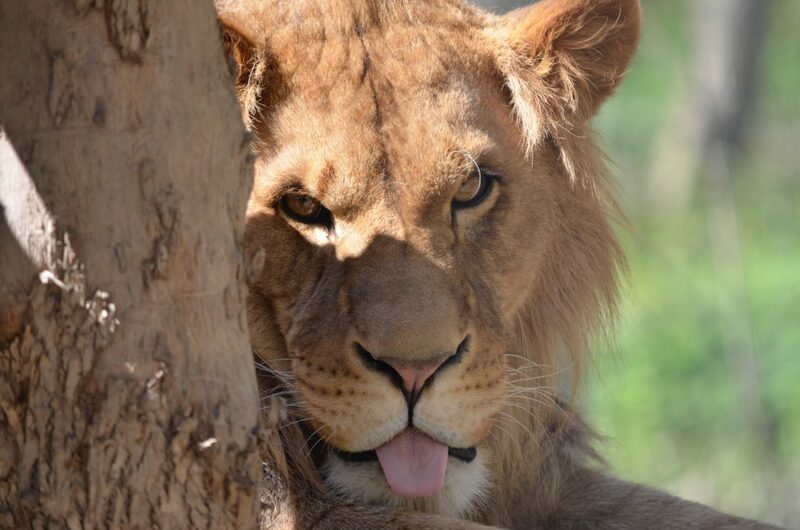 At the zoo, you will see various stages of a lions life, with the younger cubs having only a small Mohawk mane to seeing their 400 lb fathers with a full-belly mane. 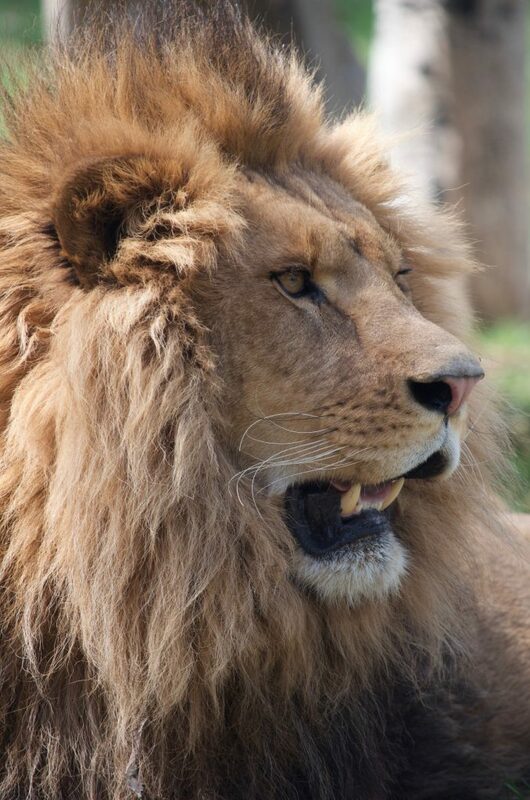 You may be lucky enough to hear the whole pride roar throughout the entire zoo. 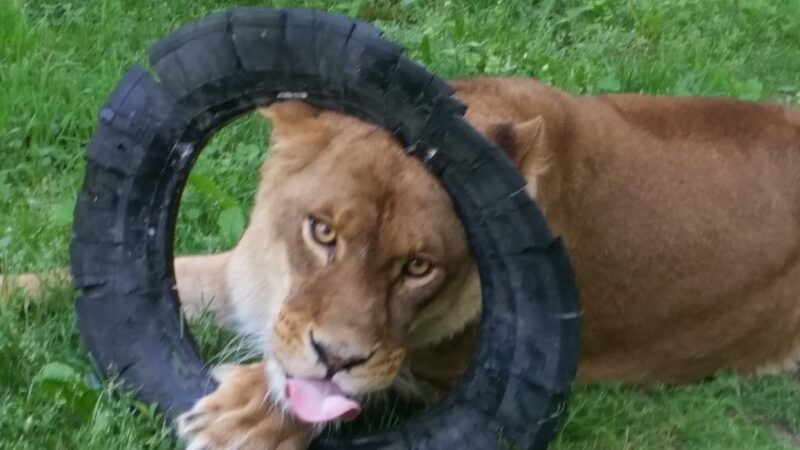 This typically happens after a large meal – come see our Big Kitty Crunch Time on Sunday to hear it and learn more with our feeding demonstration! 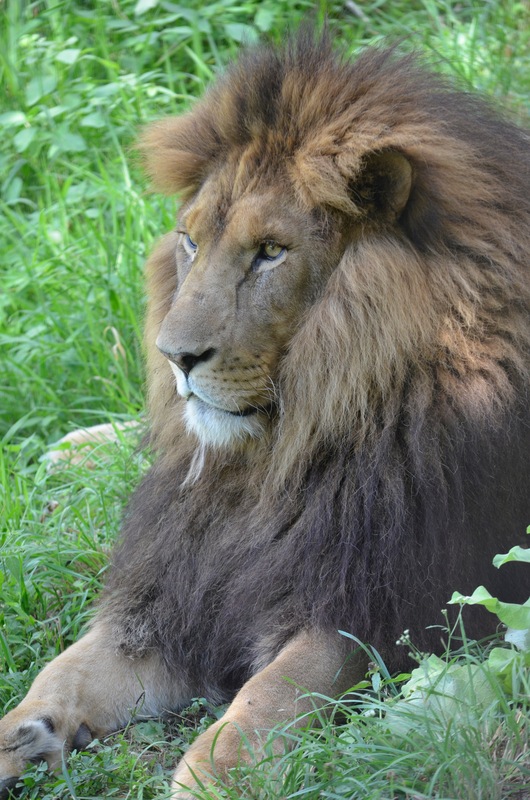 The Lion is the most widely recognized icon in the animal kingdom, specifically with respect to the male lion’s mane. 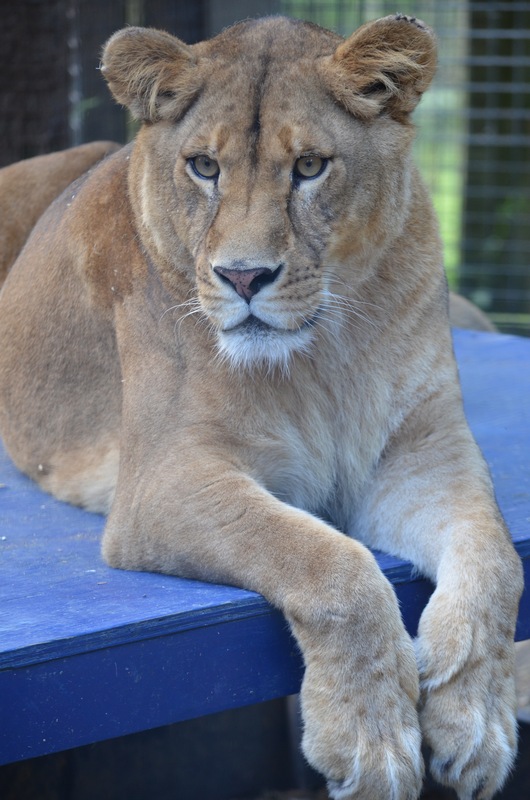 Lions are the most social of all the cats in the feline family, with groups of individuals living together called prides. 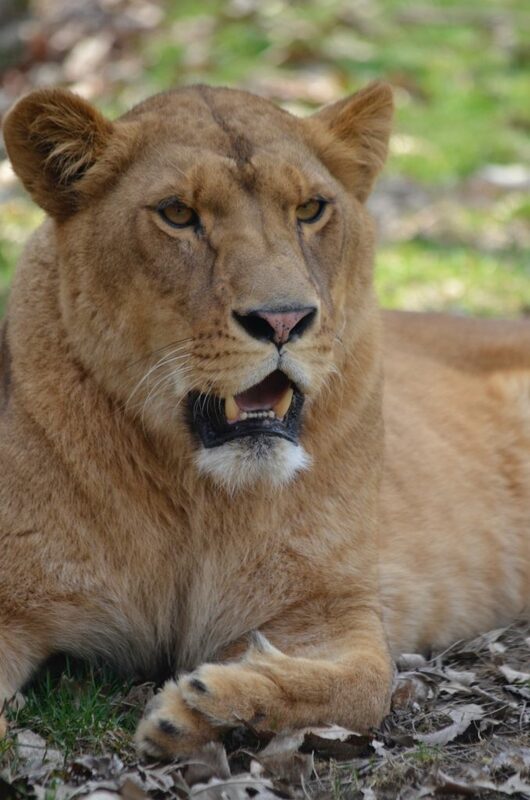 A typical pride consists of 15 individuals, with much fewer males than females. 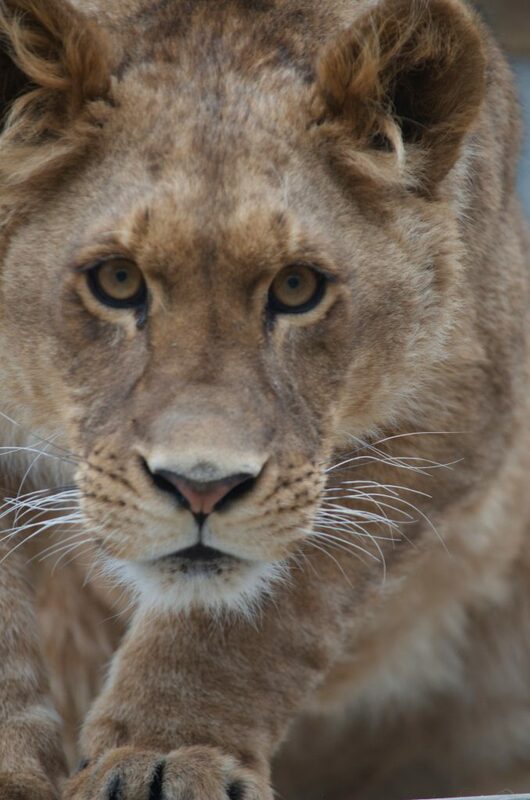 The females are the majority hunters of the pride, while males serve as protection over all individuals. As generalists, their diet consists of various types of prey, with a preference for ungulates such as wildebeest, deer, zebra, and buffalo. 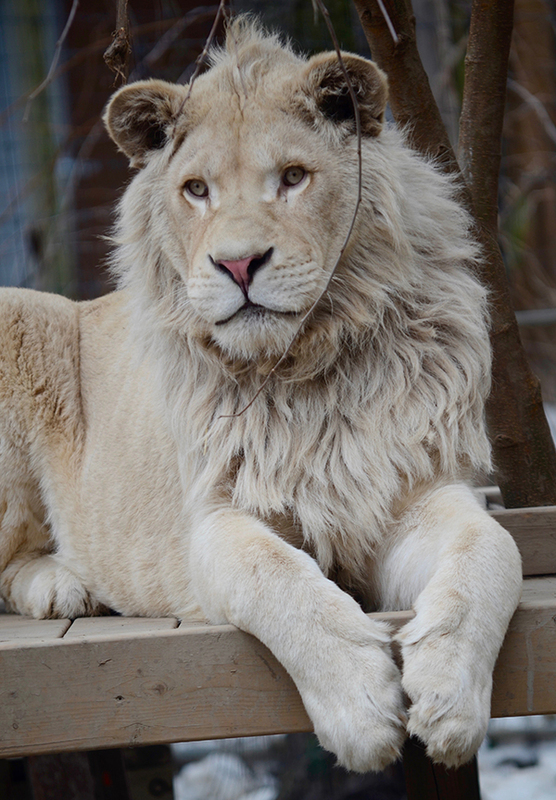 White lions are not a separate species of lion, but rather have a genetic condition called Leucism. 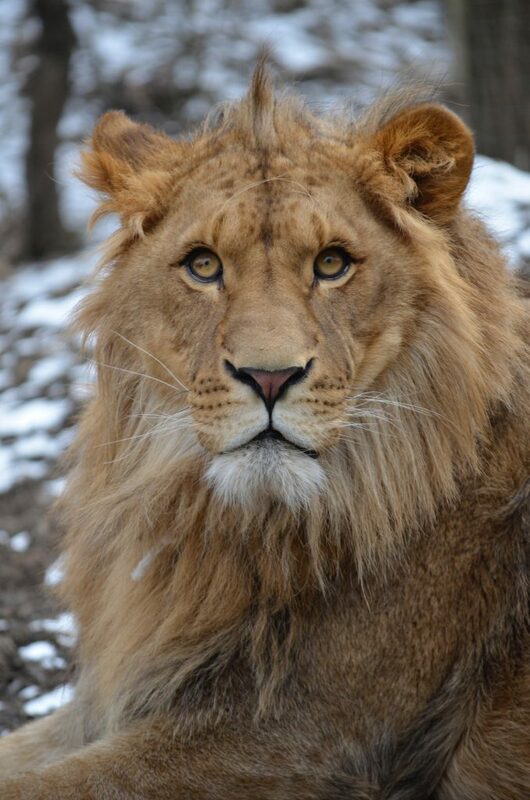 This is essentially a colour morph of the lion species which causes a paler colouration. 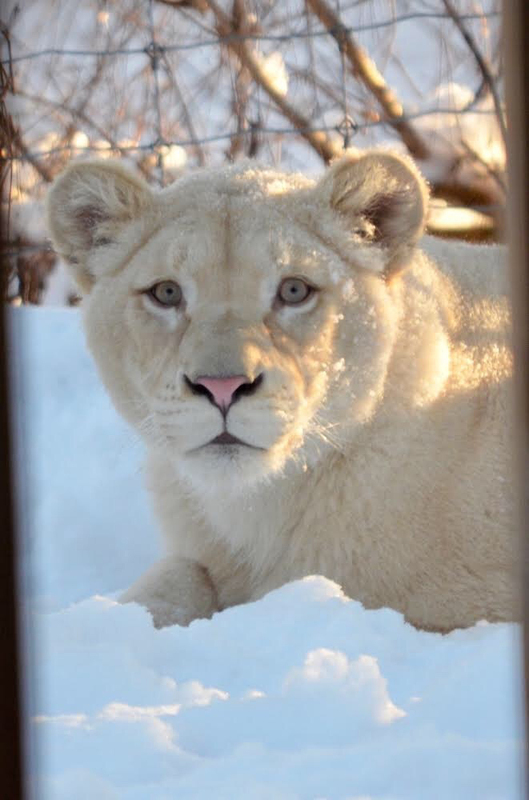 Contrary to popular belief, white lions are not albinos. Rather, their ultra-light coloration is a result of a genetic mutation that occurs when two such individuals mate. The condition is called leucistic, which means that they have normal pigment in the eyes and paw pads, but lack pigment in the hair. The resulting appearance is somewhat variable; some individuals are near-white, while others are blond or reddish. 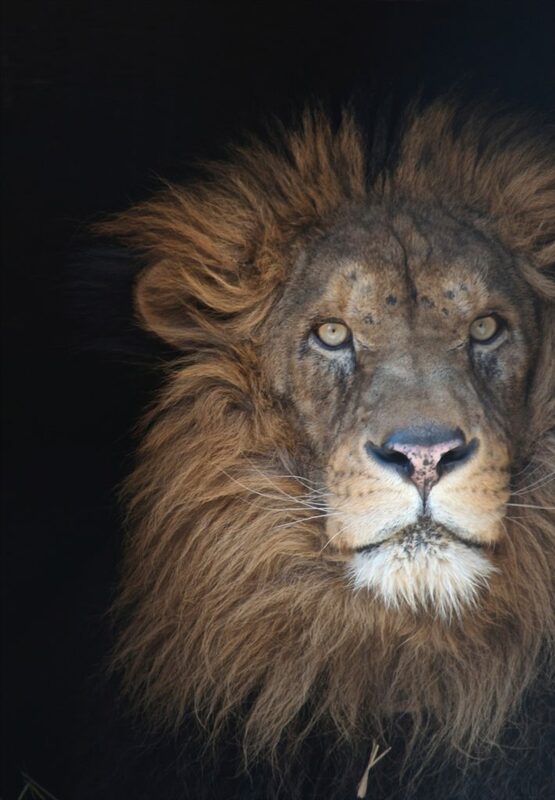 These white-haired lions are believed to be natives to the Timbavati region of South Africa. They are said to have lived in this region for a very long time. But officially, the first recorded sighting of white lions happened during the latter part of the 1920s. 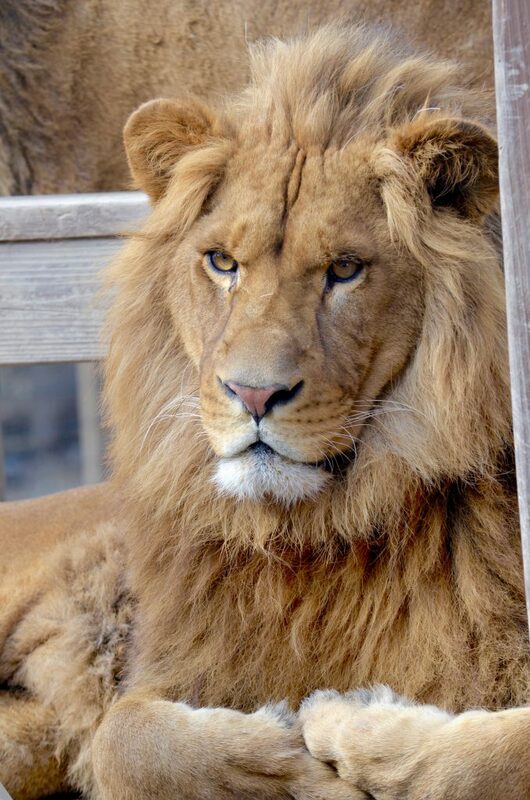 White lions have been successfully bred in captivity but are rare in the wild, since their light color makes them less effective hunters and more vulnerable to poachers.